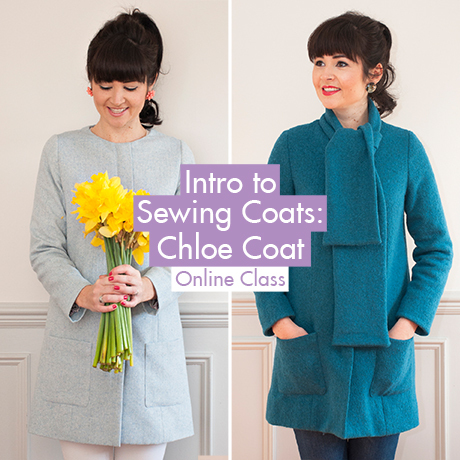 The Intro to Sewing Coats is an online class from Sew Over It offering a step-by-step guide to sewing a beautiful tailored Chloe Coat. 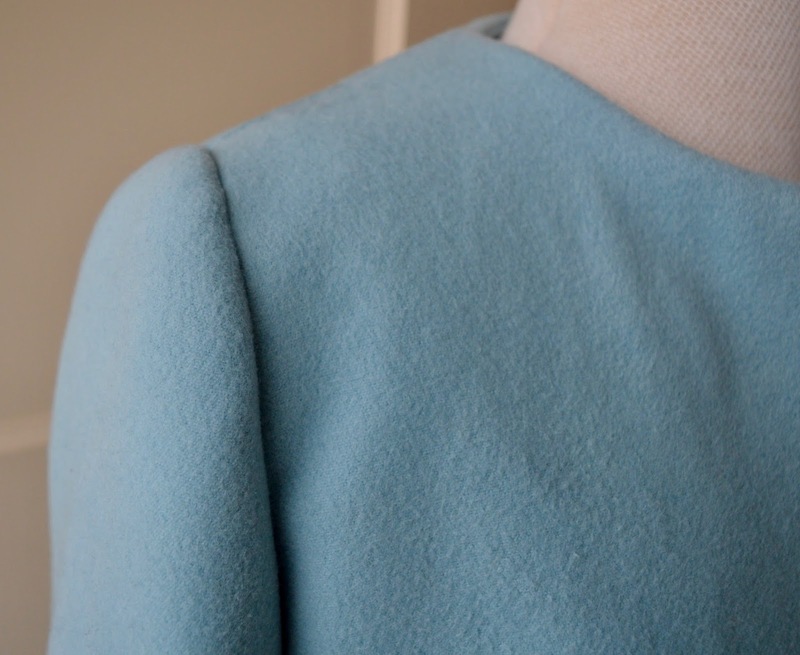 Details of my finished Chloe Coat can be found here - this additional post will go into a bit more detail about what to expect from the online class. I've used one of the Sew Over It online classes before (The Ultimate Guide to Sewing and Fitting Trousers) and really got a lot out of it. This time round I learnt everything there is to know about coat making, including some great new tips and techniques. The course is aimed at a broad range of sewers - coat-sewing newbies who want to take their skill level up a notch, along with intermediate sewers who want to improve their tailoring techniques. You will need to be familiar with garment construction and have inserted sleeves and zips before embarking on the course. 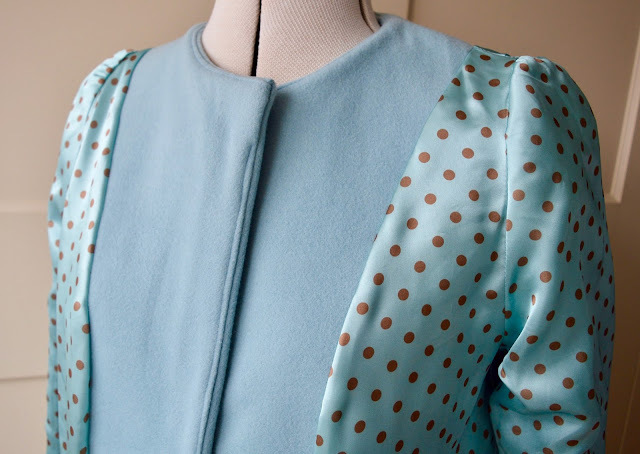 The class includes a PDF pattern of the Chloe coat (both tiled and copyshop versions), video tutorials by Lisa Comfort explaining each step of the construction process, written instructions to accompany the videos and PDF guides on fitting and alterations. A full list of the techniques you'll learn in the class can be found here. My main piece of advice is to watch all the videos right the way through before you even think about cutting anything out. It's always good to get a general idea of what you'll be doing and you can flag up any bits that don't make sense. Most of the videos are very short, only a minute or so, which makes it easier to let the information sink in. Believe me, the more times you watch something the more it makes sense! The course also comes with a set of written instructions (without illustrations). I'd recommend using the videos and the written instructions in conjunction with one another. A few tiny instructions that are not mentioned in the videos e.g. slip stitching the turning hole in the pockets, are mentioned in the written instructions. And vice versa - top stitching the front edges of the coat right at the end isn't mentioned in the written instructions. Use them together and they'll cover everything. There are separate pattern pieces for 'cloth' (main coat fabric), lining and interfacing which is a mixed blessing. On the plus side, you're working with properly measured pattern pieces and don't need to make a stab at drafting the lining yourself. This makes things far easier when it comes to the cutting out stage. On the minus side, it does result in a gigantic pattern to tape together - 84 pages in fact. All is not lost however, as there is a copy shop PDF version allowing you to get it printed on massive sheets and sent to you. I used Print Your Pattern which charged £9 to print out the three large pattern sheets and it was delivered the next day. There are other pattern printing companies that are even cheaper. I know it's extra money to shell out, but in this case I think it's well worth it as it does save a lot of time. The Chloe Coat is designed to be "semi-loose fitting yet flattering...fitted to your shoulders, and shaped at the front with a long cut-away dart." It's a simple, classic design and because of this there's very little fitting involved. As advised in the fitting video, it's essential to get the shoulder measurement correct, then work from there. Any pattern adjustments you do need to do such as lengthening/shortening are all outlined on PDFs which are clear and self explanatory. For reference, I cut a straight size 12 with two small adjustments to the pattern. I shortened the sleeve length by 6 cms and re-positioned the pockets about 2.5 cms to allow for my short arms. I'm 5'2" and I didn't shorten the coat hem, so if you're taller and/or prefer a longer coat you may need to lengthen the pattern. 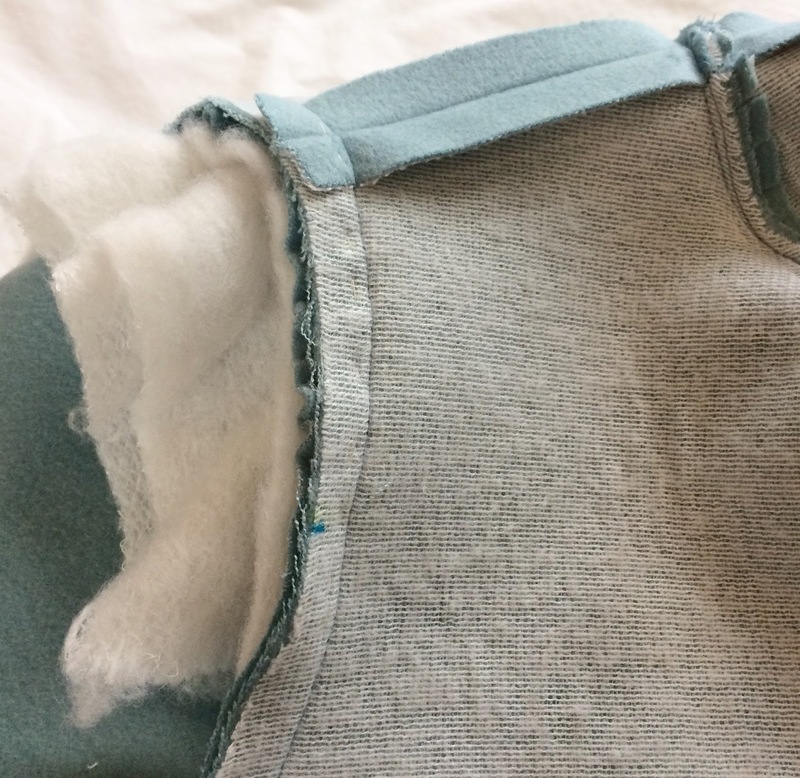 It's also worth noting that the side seams have a generous 2cm seam allowance to allow you to fit as you go. Once you have your pattern pieces ready to go I'd allow a full day to cut everything out. Cloth, plus lining, plus interfacing equals a lot of time spent cutting out, plus time spent ironing on the interfacing pieces. As tempting as it might be to press ahead with the sewing, I'd recommend starting the next day when your brain is fresher! The Chloe Coat is collarless, which means there's less bulk to contend with when it comes to layers of collar and facings. That doesn't mean it's problem free though - I still ended up with bulky sections because of the weight of my fabric, even though I trimmed everything down as directed. My fabric was a medium weight wool which is on the list of recommended fabrics so I'm not sure why this was a problem. I actually ended up omitting the top stitching down the front edges of the coat because I couldn't fit the layers of coat front and facings under my sewing machine! If I had the choice, I would have top stitched to prevent the facing from rolling out, but I'm still happy with the end result. 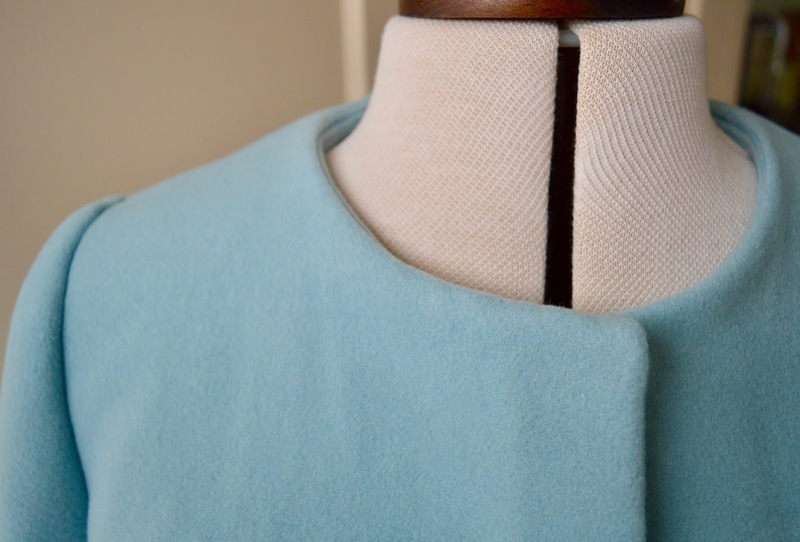 One of the new-to-me tailoring techniques in the class is sewing ice wool wadding to the sleeve head to give it shape. I've used pre-cut sleeve heads before with some success, but had never heard of ice wool. It's a strange fabric which looks like a cross between cotton wool and candy floss! You're instructed to hand sew it into place, probably because the texture is a bit fragile to put under a sewing machine. I must admit, I had my suspicions about how effective it would be because of its weird texture, but it really does give a lovely, rounded shape to the sleeve head. It just seems to mould to the shape of the wearer's shoulder like magic! The majority of the video steps were clear and well explained - I did exactly as Lisa directed and they seemed to work. I did however, have a little trouble with one or two steps, largely because I couldn't see exactly what was happening on the videos. One of these was Sewing the Sleeve Hems - it was difficult to see how she pinned the hems together because of the camera angle. The thing to remember with this step is that you're joining the two raw edges together. Just keep that in mind and you should be fine. The other section I had difficulty with was Finishing the Graded Edges of the Lining. It does get a bit easier to understand the more times you watch it, but I just couldn't get it to work. Eventually I did my own thing and it seems to look OK - it's only a tiny area of the coat at the end of the day. 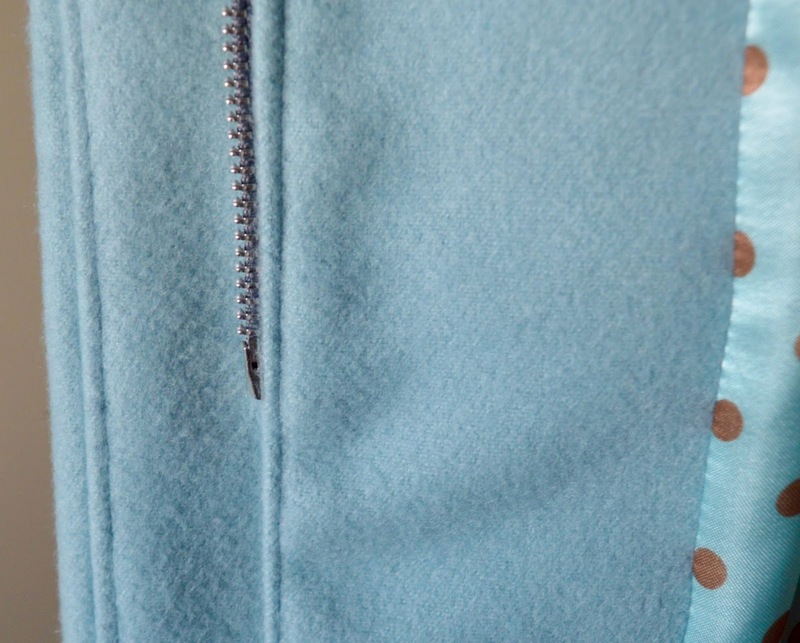 My final piece of advice regarding construction is to follow the seam allowance instructions to the letter when inserting the zip. The seam allowance at the bottom of my zip meandered in slightly and it does make a difference when you zip the coat up. It still zips up (imagine the horror if it didn't after all that work?!) but it's a bit of a fiddle getting the short zip end into the zip pull. There, I've warned you! The Intro to Sewing Coats online class was given to me free of charge for review. All views my own. I have to agree with you about the camera angle on some of the videos: there was muttering and worse in the sewing room as I tried to see exactly what I was supposed to be doing. 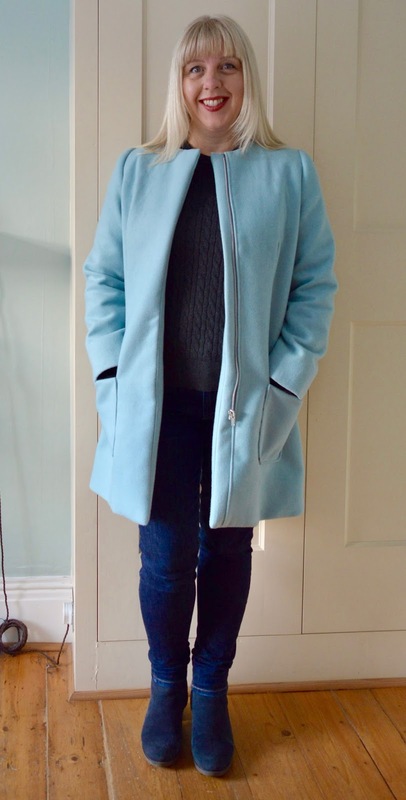 I am very pleased with the coat I made but I do think that Sew Over It could learn from Tilly and the Buttons when it comes to instructional videos. I love that coat, I really want something similar!